I also have personal biases and my favorite moments were spent with ordinary people who are extraordinary on their own ways (without them knowing they're extraordinary). ✈ Because of travel blogging, my network of friends and professional connections expanded greatly like unreal and the new friends I met were not the friends I was accustomed growing up with. ✈ Seeing them appreciate the place where I grew up was beyond compare. It made me value my heritage more—now that's more than any surreal place I've been. Traveling and blogging have brought me to distant and unexpected places I never imagined. I've met different people who made me realize that there is beauty in diversity. At some point in my life, being able to travel while doing a writing or blogging assignment was surreal. It's one of my little dreams that came true. 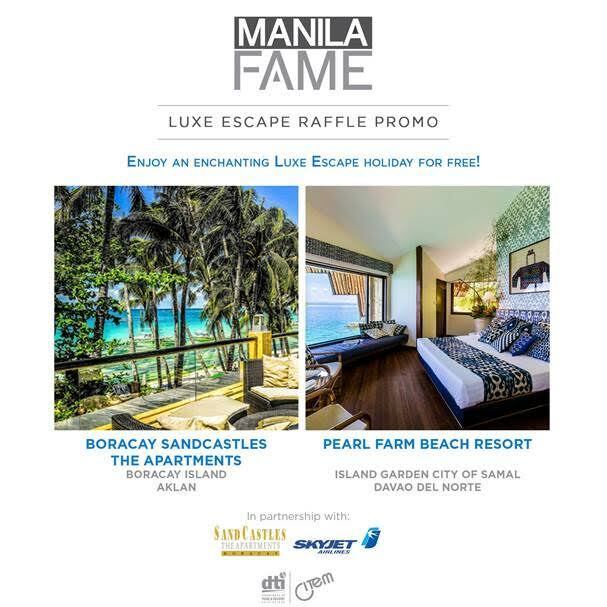 Because of travel blogging, my network of friends and professional connections expanded greatly like unreal and the new friends I met were not the friends I was accustomed growing up with. I became acquainted, did some collaborations and have worked with politicians, TV hosts & celebrities, amazing people in the blogging, travel & tourism industries and more people from different cultures and beliefs. I believe fellow travel bloggers who started from scratch like me would be able to relate with the foregoing insights. Of course, I would like to mention that I also have personal biases and my favorite moments were spent with ordinary people who are extraordinary on their own ways (without them knowing they're extraordinary). These people include those witty tour guides, welcoming local hosts and some random people that I became friends with because of common interests. where I met new friends. Those new friends were extraordinary on their own way but when I was with them, I felt like we were the ordinary guys on the next neighborhood. I just felt carefree and I could stay by myself without any major issues or what. Well that's just me at the very least. City. The other one works under a tourism department of the same city. 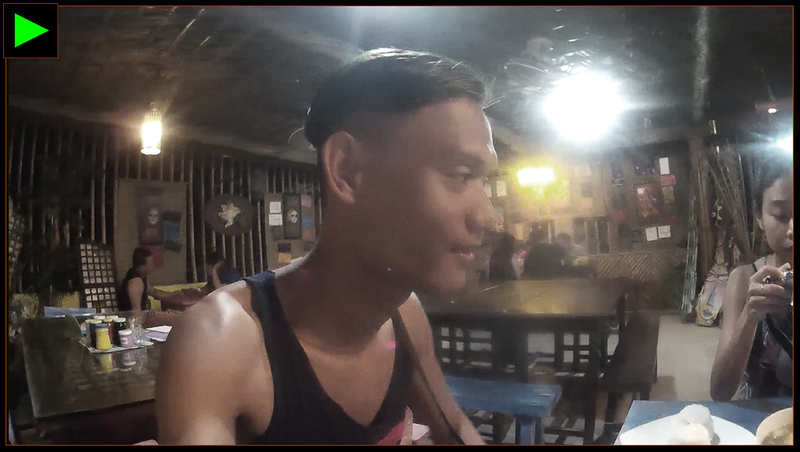 The other is a fellow blogger who was also invited in Puerto Princesa that time. This time, I'm the host. Pressure? Yes it was. immediately after her arrival. 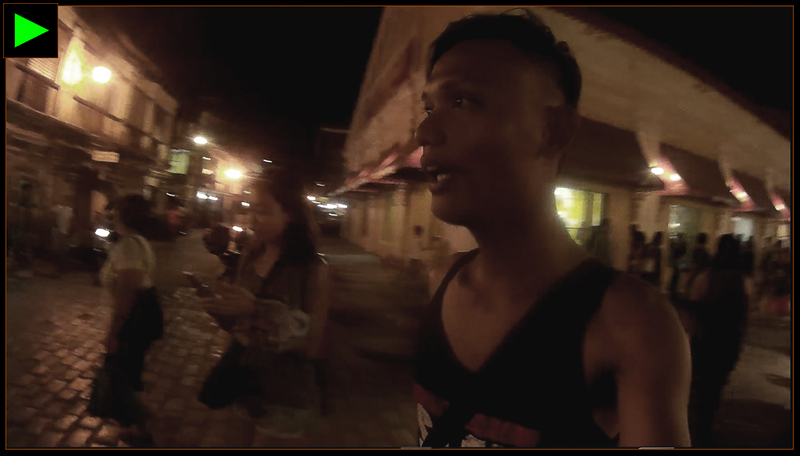 It was Sunday—Domingo Ramos to be exact—when we met in Vigan. I fetched her at the Partas Terminal of Vigan. It's Kira's first time in Ilocos so I took charge of everything. 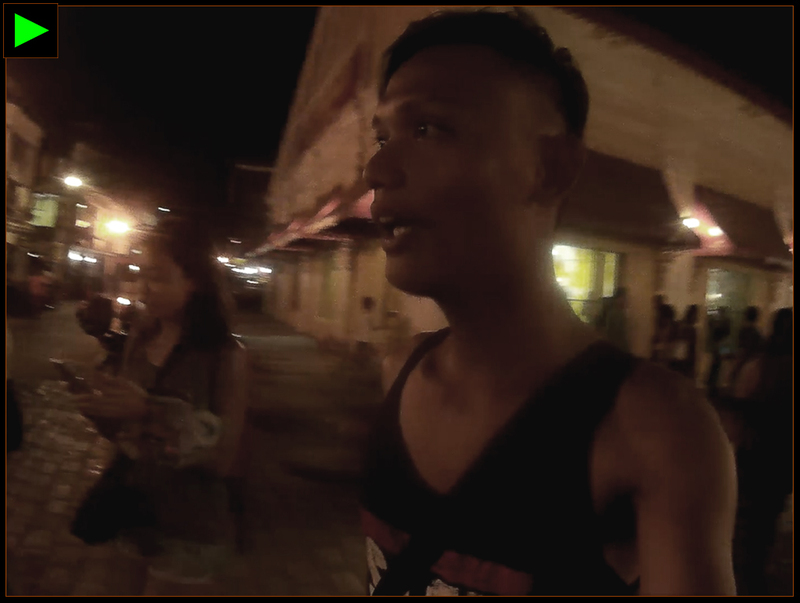 I brought her at the Calle Crisologo where we searched for an available space to eat. Unfortunately, all the restaurants were already fully-booked, if not closed. Thank God, FG Resto and Bulalohan is relatively away from Vigan's busy tourist zones so we all had the space for our selves. With a hot bulalo soup + delicious conversation over coffee with the owner Annalisa Pascasio, we called it a night. 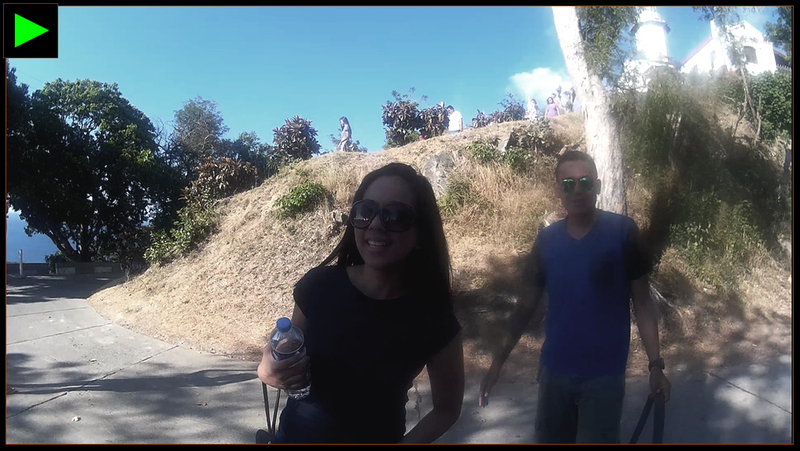 The next day, I was the one who traveled from Vigan to Laoag to meet the other two—real-life couple Arles and Heather. Both are from Puerto Princesa. However, Heather has Ilocano roots. She speaks Ilocano too. It's time to re-explore the northern side of Ilocandia. that we could cover within the day in a pace we were comfortable with. We stopped in Pagudpud and we hired a tricycle. Unfortunately, the standard tricycle tour fee has changed so we had a hard time deciding where to go. 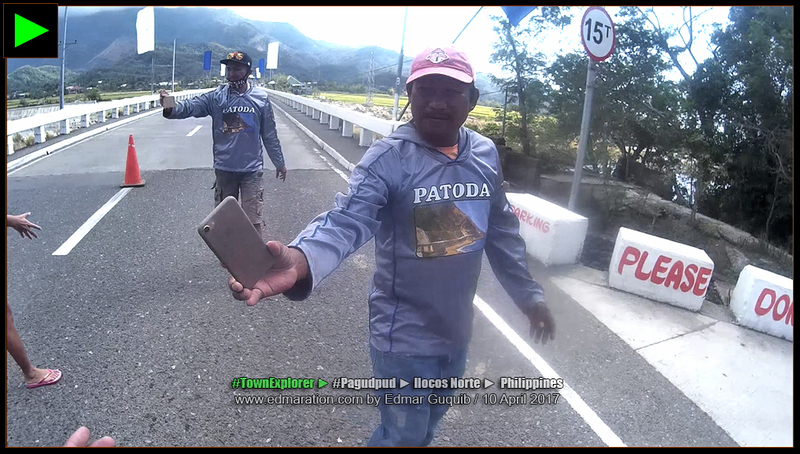 To cut the story short, we ditched the northern attractions of Pagudpud and just decided to drop at the welcome arch for photo and selfies. 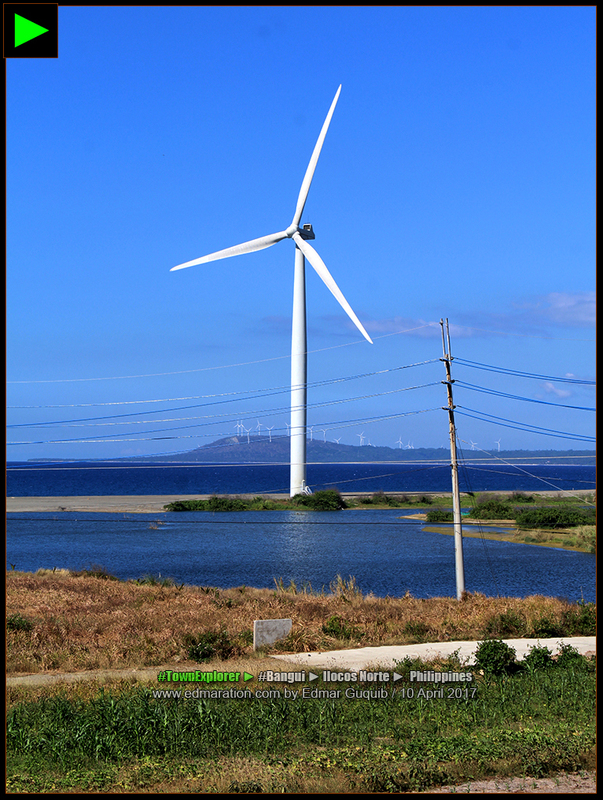 's first windfarm—that's the town of Bangui. Showing them the giant windmills left them in awe. Kira said it's postcard-worthy while Heather thinks that these mega-projects were the products of a visionary Ilocano leader, that's coming from someone who is not from Ilocos. is just beautiful and diverse. Meanwhile, in Laoag, I brought them to the Dap-ayan, a place for Ilocano food for our mini-dinner. One day is indeed not enough to explore Ilocos. 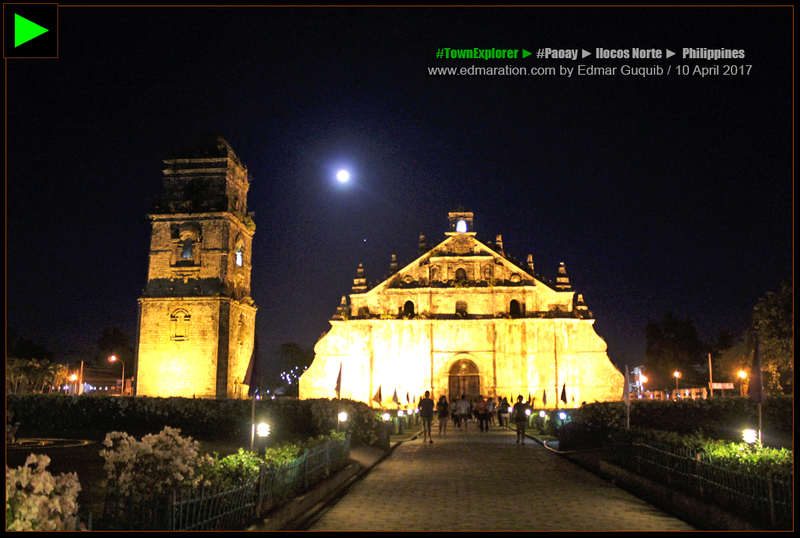 where we witnessed the Paoay Church's glory under the moon before we called it a night. On the 11th of April, my three Ilocos guests had a taste of the other side of Ilocos—Ilocos Sur. 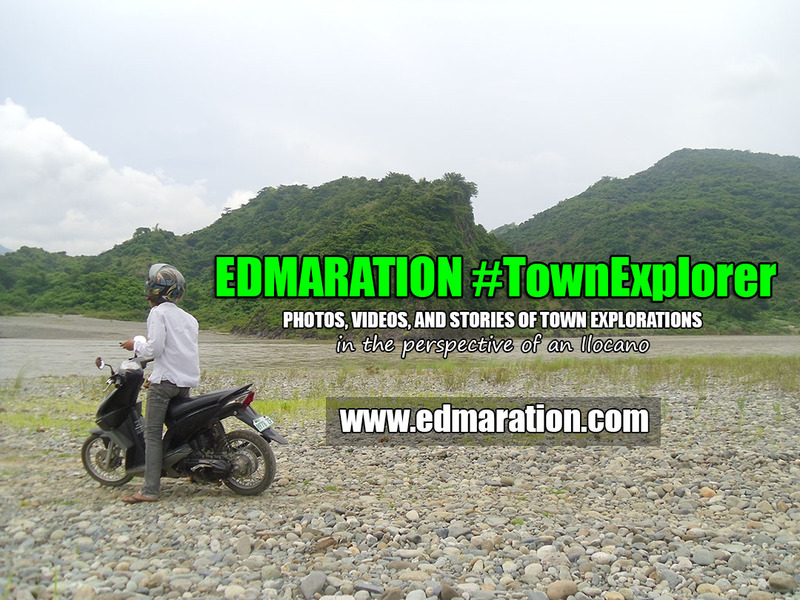 Touring the traditional southern realm of the Ilocano people had a twist—we did it using motorbikes. 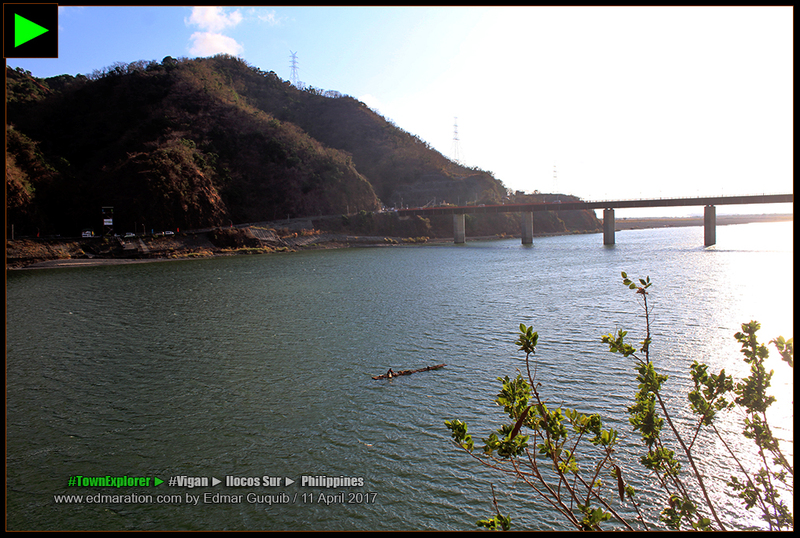 [ILOCOS SUR] ► The Abra River separates the two congressional districts of Ilocos Sur province. I brought them first to some of the cultural destinations in Vigan such as the National Museum Ilocos Regional Complex that takes charge of the Padre Burgos ancestral house and the old provincial jail, the birthplace of Elpidio Quirino—one of the presidents of the Philippines. 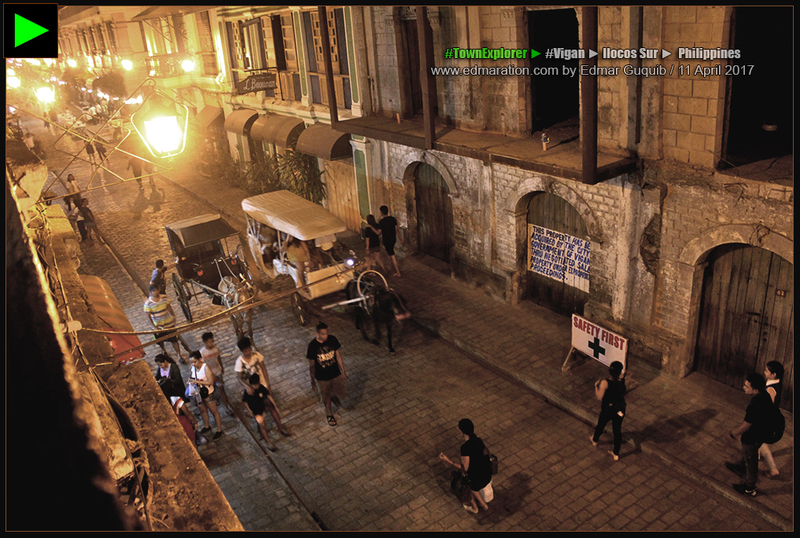 We also did a quick walking tour around Vigan. I showed them the Vigan Cathedral until Kira saw something that made her scream, "I want bibingka!" 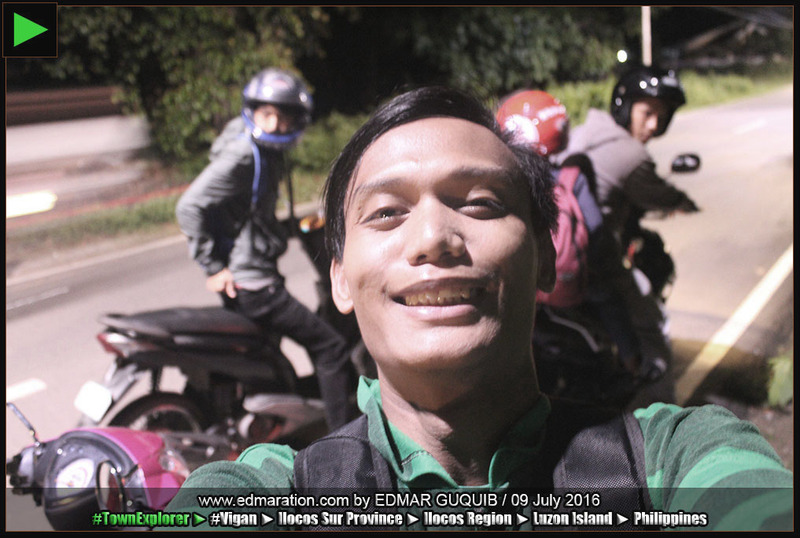 With our motorbikes, we visited Vigan's Damili Village, specifically the Hidden Garden in Bulala Centro, the Pagburnayan (jar factory), Crisologo Museum and Baluarte Zoo and Park. was part of the itinerary so we visited one of the country's most popular watchtowers--the centuries-old Bantay Watchtower and the Shrine of Apo Caridad (Saint Augustine Church). where I showed them the scenic Banaoang gap and the mighty Abra River draining to the West Philippine Sea. town. We ended at the UNESCO World Heritage baroque church of Santa Maria where we enjoyed the beautiful sunset. 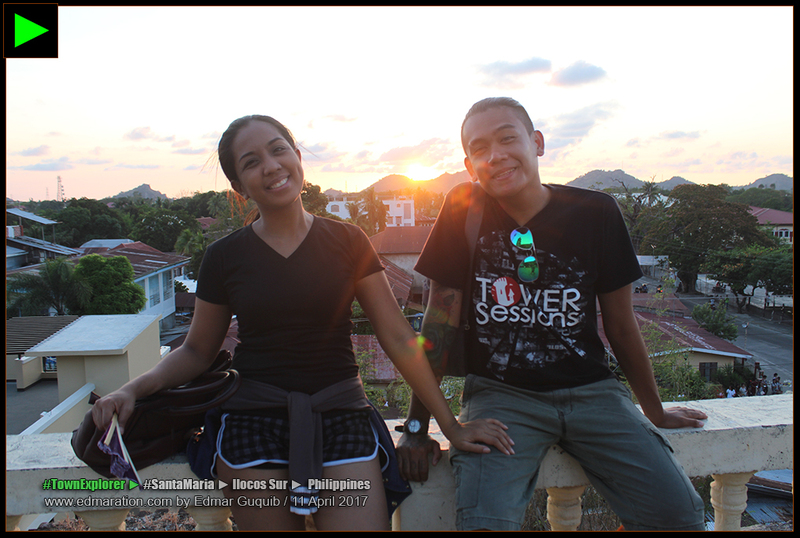 It took us around one hour to reach Santa Maria from Vigan. We went back to San Vicente and a free dinner was offered for us by no other than our lovely sponsor FG Resto and Bulalohan. However, a Board Member of the second district of Ilocos Sur (Hon Gina Cordero) discreetly paid for our food that night! [SAN VICENTE] ► Dinner at FG Resto and Bulalohan with the owner and Hon Gina Cordero, Board Member of the second district of Ilocos Sur. One of the highlights of this reunion was the wedding proposal at the said restaurant. Of course, Heather said a big "Yes!" I'm so glad that I've been a part of their heart journeys. This is the summary of our reunion in Ilocos and more specific stories and insights will be written by me later from each destination we visited. Sandwiched by the Ilocos-Cordillera mountain ranges and the West Philippine Sea, the result is a breathtaking landscape of the ocean, the narrow plains and the mountains. ✈ The above story is a summary of an upcoming blogserye.